Is the van life trend appealing to you? It can look wonderful when you see photos on Instagram, but how is it in real life? We usually see photos of the #vanlife trend in tropical locations… Have you considered trying it in a Nordic country? How about Iceland? Everyone I know that has been to Iceland completely fell in love with this country. The land of ice and fire is without a doubt fascinating and of extreme beauty. It is a place where you can safely and peacefully visit on your own term, with a van. Iceland being one of the safest countries on Earth, you will feel safe and secure everywhere. 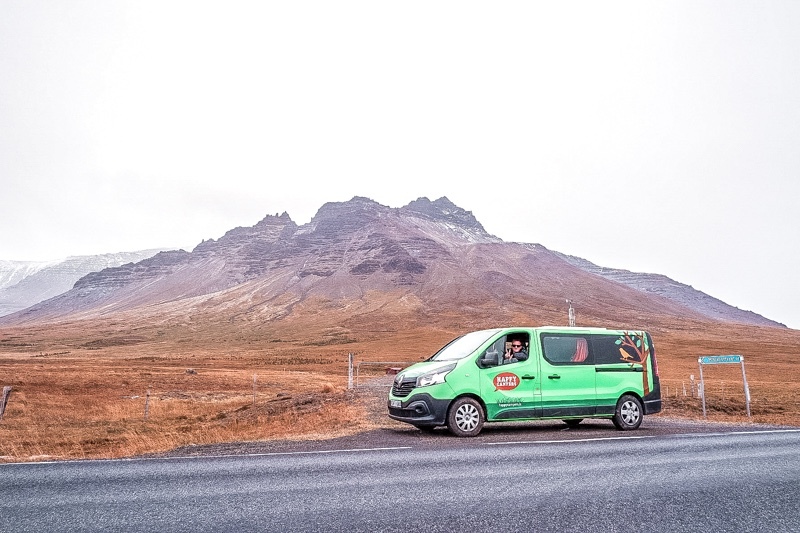 We visited Iceland on a 10-day itinerary, last October, driving the Ring Road with our Happy Campers “Happy 2” van (the green one). Happy Campers is one of the most popular van rental company in Iceland, and renting with them has been a real pleasure! Not all vans will do, though! Believe me, I’ve tried it! I even made some mistakes that I don’t want you to do, so please keep reading to know all my tips and tricks! 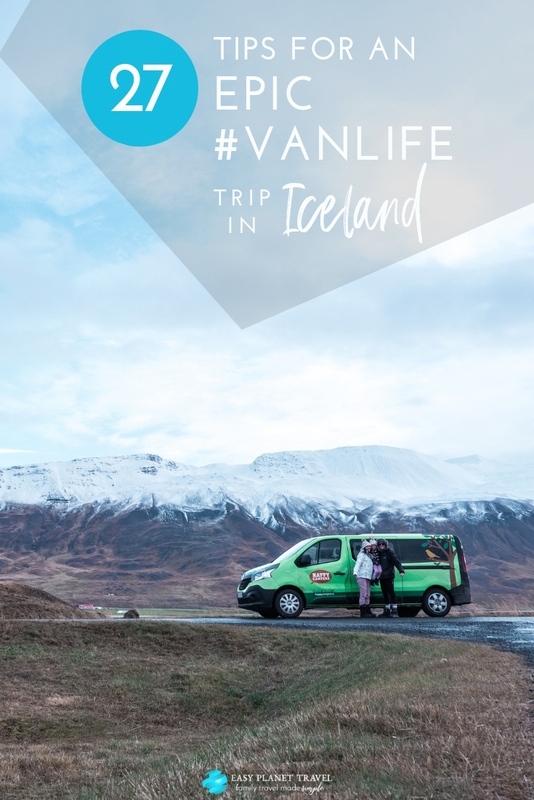 If you would like to discover stunning Iceland, driving the Ring Road and sleeping in a van, here are my top 27 tips for an epic #vanlife trip in Iceland with your kids! 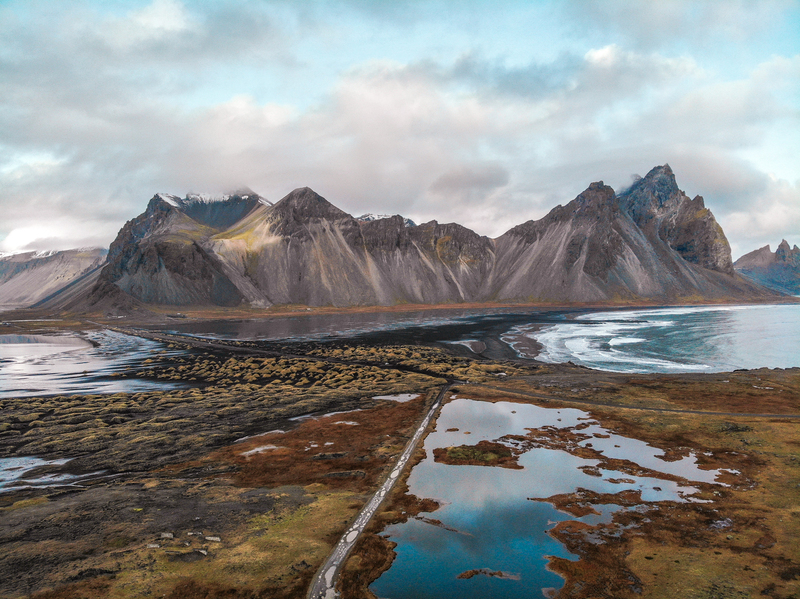 Living the #vanlife in Iceland is quite different than living it in California. 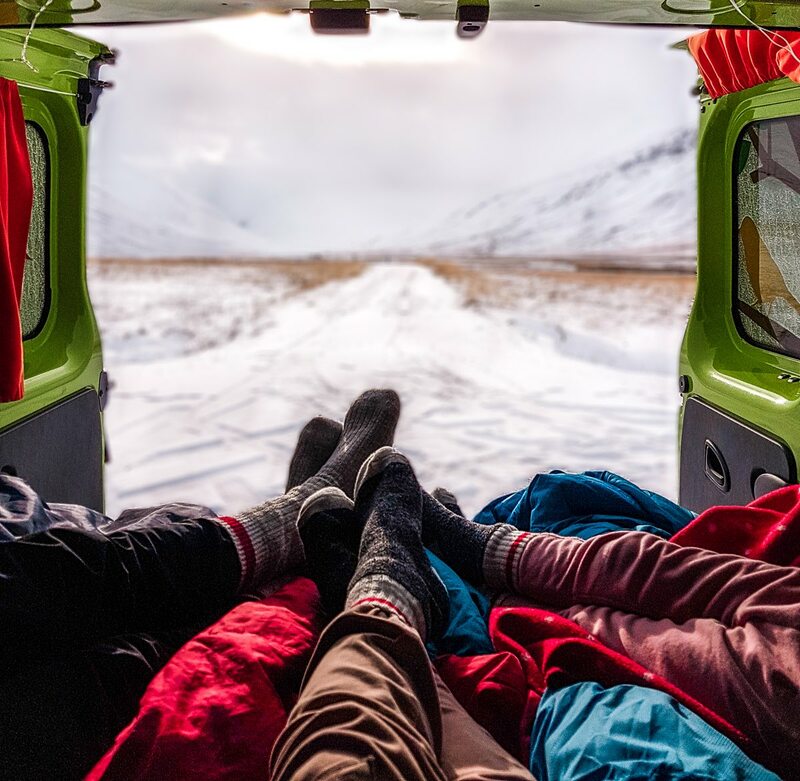 The unpredictable and ever-changing Icelandic weather, especially in Fall, Winter and Spring, means that you will spend a lot more time INSIDE the van than out. So you will want a roomy van. Traveling with our 5-year old daughter, Emma-Kate, we thought we could rent the Happy 2 van, and even though it only sleeps 2 persons, we would find a spot where Emma-Kate could sleep. We even brought a thin travel mattress so she could sleep on the floor of the van. BIG MISTAKE! Iceland can be cold, and the floor of the van gets even colder at night. She would have not been able to sleep well! We were lucky that she fitted on the bed with us, but if she would have been 2 inches longer, the 3 of us wouldn’t have fit in. The front seat doesn’t recline either, so you cannot use it as a bed for the night. Unless you like to sleep seated! So pick the van that has enough room to sleep all your family. 2. Pick the right Happy Campers van size: standing! Another thing to consider: the van has everything you need to sleep, cook and eat. It’s like an all-inclusive van! It also means that you’ll execute most of your activities in the van. I am 5’5”, and Clinton is 5’8”, and even though we aren’t very tall, we couldn’t stand tall in the van. For a little while it isn’t a big deal, but for a 10-day trip, and even more, if you already have back problems, you should pick the Happy 3 model that has a higher rooftop. You can’t camp everywhere you want in Iceland: you have to camp at campgrounds. If you are traveling during Fall, Winter or Spring, there are still open campgrounds, but a lot less than in Summer. If a campground is closed, but the gate isn’t, then you can camp there for the night, you won’t have to pay any fee, but won’t get access to the showers, restrooms and kitchen facilities. Traveling in October, we had no problem finding an open campground. It costs around $30 USD for our Happy Campers van for 1 night, and we even found free campgrounds. By the way, the showers and restrooms at campgrounds are great, very clean and pleasant. Their hot showers are amazing, especially after a day of rainy weather. Sometimes you’ll have to pay extra for the showers. The campgrounds were always quiet at night, and also very safe (Iceland is one of the safest places on Earth!). But please don’t take chances: lock your doors and don’t leave valuables out there in the open. 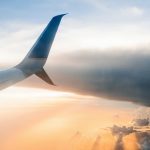 The Blonde Abroad (another great blogger) got her camera stolen because she left it on the counter of a restroom. We were careful and nothing happened! 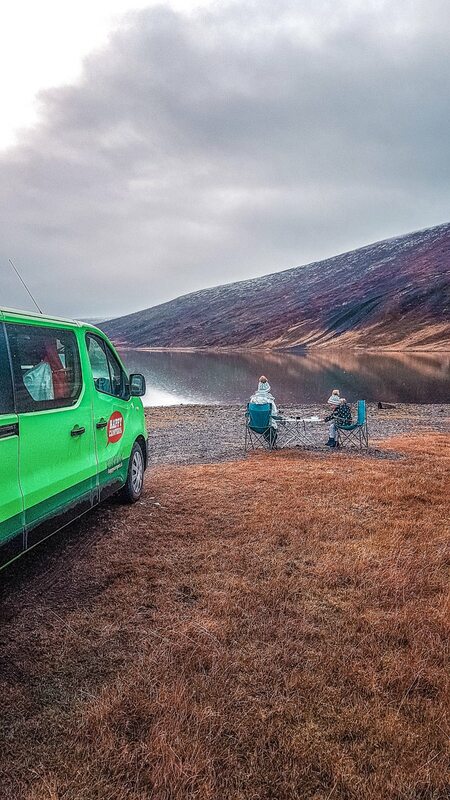 Traveling in Iceland in Fall, Winter or Spring: the Happy Campers vans have winter tires. You’ll definitely need winter tires, especially if you visit Northern Iceland. 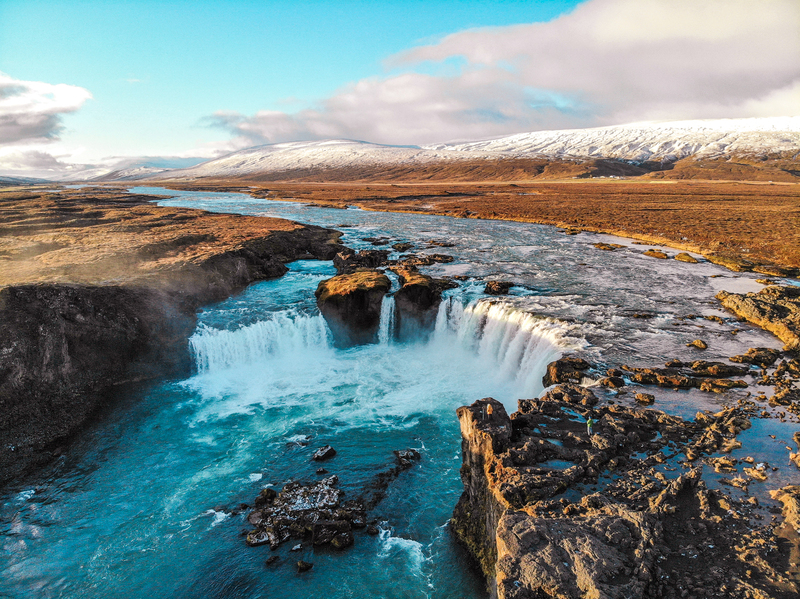 When you will stumble upon the breathtaking Goðafoss Waterfall, you’ll want to share your selfie with the world! And driving the Ring Road means long stretches before the next stop. That’s why having Wifi included with your Happy van is a must! You’ll have time to prepare your Insta post, share a few stories and load your IGTV with new fun videos! If you want to unplug and experience Iceland without the internet, then a GPS will come handy: it’s always useful to know how long before the next gas station! When you’ll rent your Happy van, take all the blankets and sleeping bags you can get your hands on! The first night of our trip to Iceland, it was at the beginning of October, the temperature went down to 16ºF (or -9ºC). I want to reassure you here: there is a Webasto heating system that you use to heat the van for 3 hours when you go to bed. Unfortunately, for the rest of the night, there is no more heating in the van, so you need all the covers you can get to stay warm. That first night, we woke up because it was too cold. We put our coats on, hats and scarf, and then we were okay. Only the first night was this cold, so the next nights we were alright. Nonetheless, here’s how we could sleep comfortably without getting chilly during the night: we would go to sleep with multiple layers (2 pairs of socks, 2 sweaters, Emma-Kate and I wore thighs under our pajama pants, and also our hats and scarf), and covering our heads inside our sleeping bag made sure we would stay hot all night. It took a while for us to figure it out, but the passenger front seat turns around, so you can have an extra seat for your family time at meals and at nights. The backseat has safety belts: put them on. The biggest risk isn’t getting in an accident with another driver, but icy roads and sheep crossing the streets can make you lose control of your van. The wind can be so strong it can tear apart the door of your van. So if you are getting in and out of your van on a windy day, use the sliding side door. Your Happy Campers van comes with everything you need to cook your own food: a cooler / refrigerator, a sink with running water, pots, pans, cookware, dishes, and cutlery. Cooking your own food is a great way to save money because meals at Icelandic restaurants are very pricey. You can either buy local food at grocery stores in Iceland, or you can bring your own from home. You have the option to cook at your camping’s kitchen since most of them offer these free facilities. We chose to bring our own food from home. The plus side is that you can bring and eat the food you love (great for picky eaters), and it comes cheap. We packed a suitcase full of dry food like oatmeal, jerk, pasta, and it was very easy to cook in our van. Whenever we were hungry, we stopped alongside the road and could eat anytime. The downside is that you have to cook! Being the one who cooks at home, it is nice to have a vacation from cooking. Also, you don’t get to taste the local cuisine. I suggest you cook most of your meals and also eat out to taste Icelandic meals and meet locals too. Because otherwise, you could be traveling around Iceland without meeting almost anyone! You want to be independent and do your own things, but not be too isolated. One thing I did is bring a great thermos from home. So at night, I would boil water for the meal and for tea, and I would keep some for next morning’s oatmeal and coffee. That’s a way to make breakfast and morning routine easier and faster. The light of the day is going by quite fast in Iceland, so if you want to make the most of your day, try not to lose too much time. Potable water is everywhere in Iceland, and it is free at all campgrounds too, so you can very easily fill up your Happy Campers water tank. Living in a closed environment with your loving family doesn’t mean you won’t step on each other’s toes! A little sense of humor goes a long way! 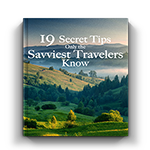 You will probably have a lot of luggage (warm clothes take so much more room than bikinis, hello!!). Moreover, when you are driving, things that are not secured will move around in the van. The solution: try to decide on designated areas for everything, so you won’t look everywhere when you’ll need your chapstick at night. What I did is that I moved around the pots and dishes in the same drawers, and used the other ones to store our food, toiletries, and water bottles. I brought garbage bags from home to keep things tidy (3 kitchen-size garbage bags for a 10-day trip). Also, bring dish clothes to give you extras from the ones Happy Campers freely provide. I also had baby wipes to clean the counter and the floor of the Happy Campers van, because you will bring back from your hikes mud in the van. It was even more useful when we came back from our easy walk at the very stinky Hverir. I would even suggest that you bring disposable shoe covers if you are planning to visit this site. I never sleep without my earplugs, but unless someone snores in your family, I don’t even think you’ll need them since the campgrounds are quiet at night. I also brought a rope to hang clothes to dry and very easily installed it across our van’s ceiling. This is quite useful because Iceland weather can get very wet, very fast. Fabric softener sheets are nice to have to keep things smelling fresh in your van. I sparingly put a sheet everywhere. Music and games to play as a family will make things pleasant for long drives. Yes, the drives can be long! If you are interested in getting your van to look cuter, here is another suggestion. I put up mini LED string lights around the back doors of the van, to create a cozy nest for evenings. Think about bringing painter’s tape to fix the lights without leaving residue on the van. 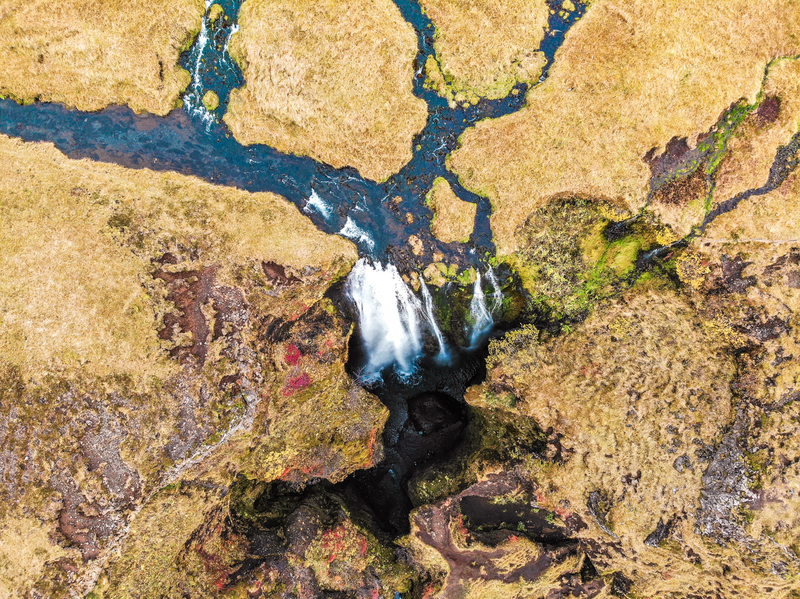 There are a LOT of stunning sights to see in Iceland: waterfalls, mountains, glaciers, beaches. So hiking and trekking will definitely be on your to-do list! 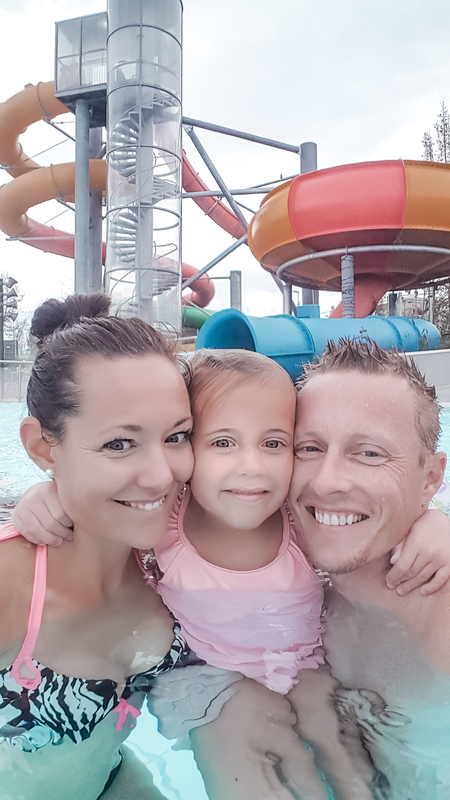 If you are looking for something different to do with your kids, head to the public swimming pools. Most towns and cities in Iceland have public pools open year-round, and some even have water slides. Don’t worry, you won’t freeze, because these facilities offer hot water pools (different baths at a different temperature), and even the water slides are heated. This is where the locals are spending quality family time during the weekends. We had a lot of fun at the public swimming pools in Akureyri, and in Reykjavik too. You might be surprised when you’ll enter the changing rooms because everyone showers naked (yes, even the ladies! ), but no one is looking and everyone is very discreet. You’ll get used to it. You too will have to shower naked, it is mandatory because they don’t put a lot of chlorine in the pool’s water and it is a way of avoiding dirty things to thrive in these hot waters. Luckily for all of us, some public swimming pools are currently improving their changing rooms by adding some private showers. 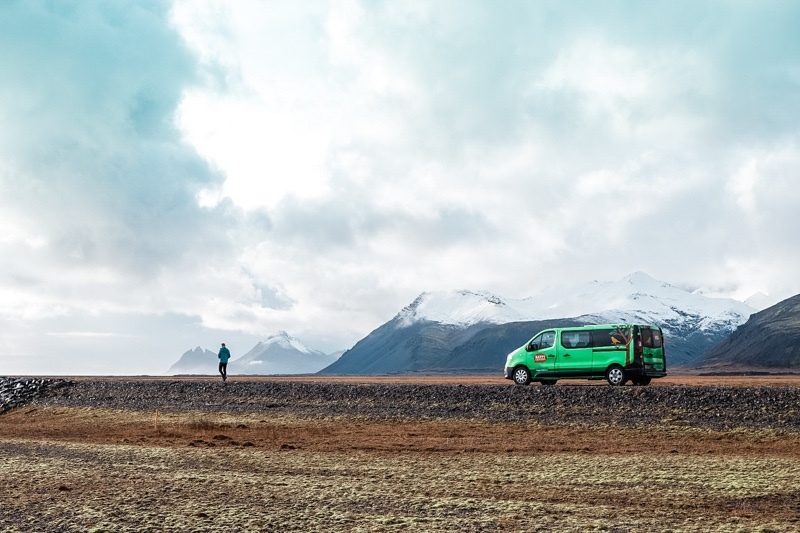 The one thing we liked the most of our trip to Iceland is to drive around the country in our Happy Campers van. We loved our #vanlife! Being together all the time, sleeping together and being in awe of the most dramatic and breathtaking landscapes, together, it was unforgettable. Seriously, every turn we took driving our cool van, we just couldn’t believe how beautiful the scenery is in Iceland: so peaceful, so vast, so wild. Be ready to stop very often, to take photos and take it all in. If you are traveling in the shoulder and off-season as we did, you can stop by the side of the road, and you’ll see no one for miles… we even danced in the middle of the road. We definitely had the best time of our lives! The vistas in Iceland are unique and stunning, that’s why I recommend driving only during daylight. It is not dangerous at all to drive at night time, but you’ll miss all the beautiful vistas! 27. Should you visit Iceland? I never want to tell people they HAVE to visit a destination, because we all have different tastes and preferences. But seriously, you HAVE to visit Iceland. I don’t want to oversell it, so you have too high expectations, but I really don’t think you can be disappointed. I don’t like the cold weather and winter, but traveling in Iceland is amazing whatever. The three of us, we LOVED our trip there, and it is the first destination in the 36 countries that we have visited, that we absolutely want to go back. That says a lot! Just be ready for sudden changes in weather. You’ll encounter rain, wind, and a little bit of cold. If you are dressed well, you’ll have the best trip of your life. 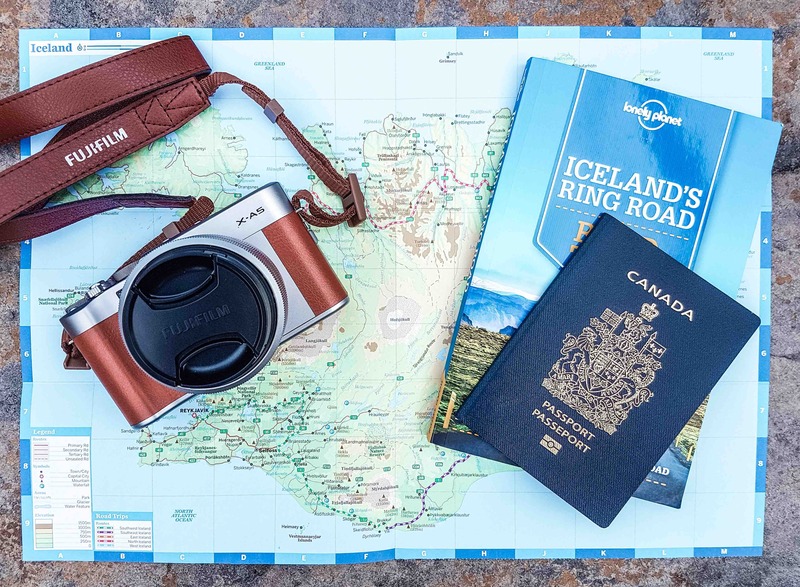 For what to pack for your Iceland trip, stay tuned: my recommendations are coming soon! 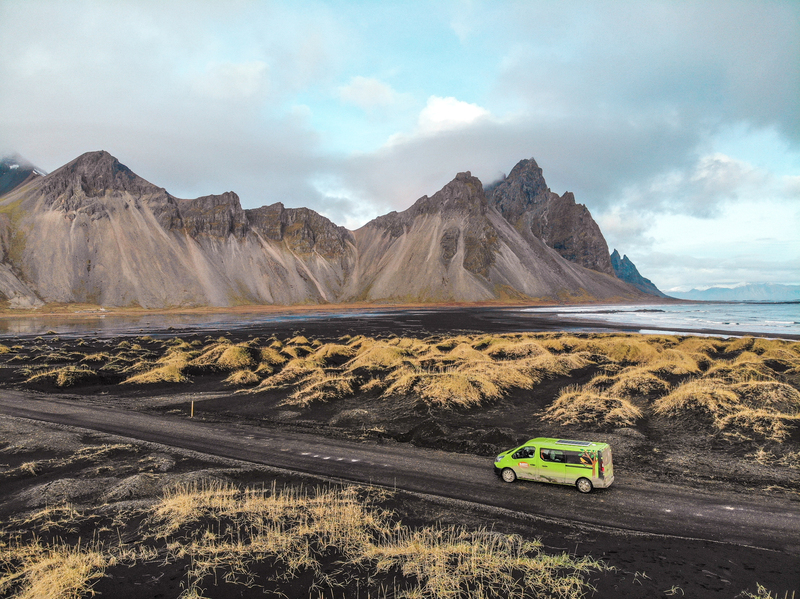 Experiencing Iceland in a Happy Campers van was the best way to go and we have no regrets. It is the #1 family experience of a lifetime! Awesome, this is my favorite trip that you’ve done! I also am loving the time-lapse video! Can’t wait to see more like this.